Beijing is the capital of the People’s Republic of China and is one of China’s four directly controlled municipalities along with Tianjin, Chongqing and Shanghai. The Municipality covers 14 urban and suburban districts and two rural counties. It has an area of 16,800 square km, slightly smaller than Kuwait. 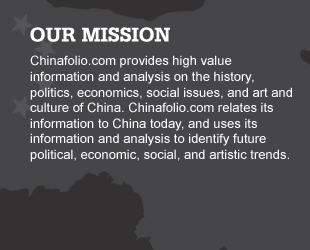 The city has been at the heart of China’s political and cultural development for over 800 years. Today, it is China’s governmental epicenter and a major national transport hub. It is also one of China’s most important business centers; most of China’s state-owned industries headquartered in its environs, and it is home to 41 Fortune Global 500 companies. Beijing’s history stretches back to prehistoric times. 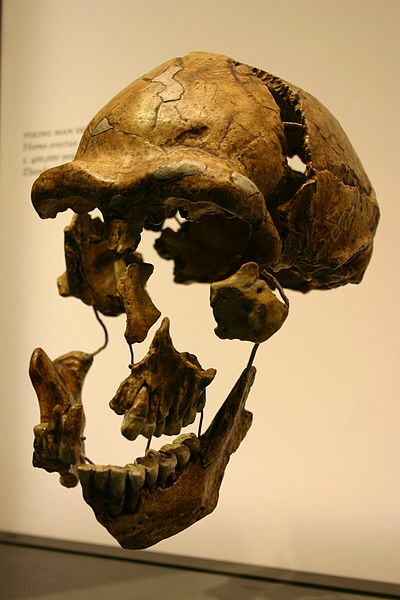 Fossils discovered at Zhoukoudian, a Beijing Municipality village, indicate that Peking Man lived in Beijing Municipality 770,000 to 230,000 years ago and Upper Cave Man lived in the area about 50,000 years ago. Approximately 3,000 years ago Neolithic communities were farming and domesticating animals in the region. Beijing first became a state capital during the Warring States Period (453-221 BCE) when the kingdom of Yan founded its epicenter near the modern day city. This city was destroyed when China was united for the first time under the Qin Dynasty. (221–207 BCE). Beijing was rebuilt during the Han Dynasty (206BCE–220CE), yet for many of the following centuries it remained a provincial town. Beijing ran close to China’s northern border, and was fought over by the Chinese Han of the south and the Mongol nomads of the north. Between 316 and 581CE, for instance, Beijing was ruled by the Mongols. It wasn’t until the Sui Dynasty (589-618) that Beijing came once again under Chinese dominion as Zhuojun city. It subsequently became the northern end of China’s Grand Canal. During this time, the city also developed as a military frontier base. It was retaken by the nomadic Khitans in 907. On the ashes of city destroyed during the Khitan conquest, the Khitans built their southern capital. The oldest architectural edifices in Beijing date from this period, including the Tianning Pagoda. Beijing fell from Khitan into Jurchen hands in 1122. By 1153, Beijing had become the Jurchen’s Central Capital called Zhongdu. During this time, Zhongdu expanded significantly and became admired for the beauty of its palaces and great halls. In 1213, Beijing was attacked by Ghengis Khan who proceeded to burn a large part of the city to the ground in 1215. It was said that Beijing’s fires burned for a month. 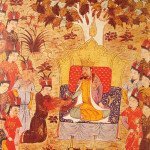 Ghengis’ grandson Kublai Khan went on to conquer all of China in 1279, founding the Yuan Dynasty. During his reign, Kublai rebuilt Beijing as its capital Dadu meaning Great Capital. Dadu was bigger than its precursors. Its pounded earth outer wall covered 29 km in length and encircled an area of 50 square km and had eight imperial gates. Inside the walls, its architecture reflected much Mongolian and Central Asian influence, and its lavishly decorated palaces showcased treasures from every part of its empire. It was this exotic and opulent Dadu that Marco Polo was purported to have visited in around 1280. 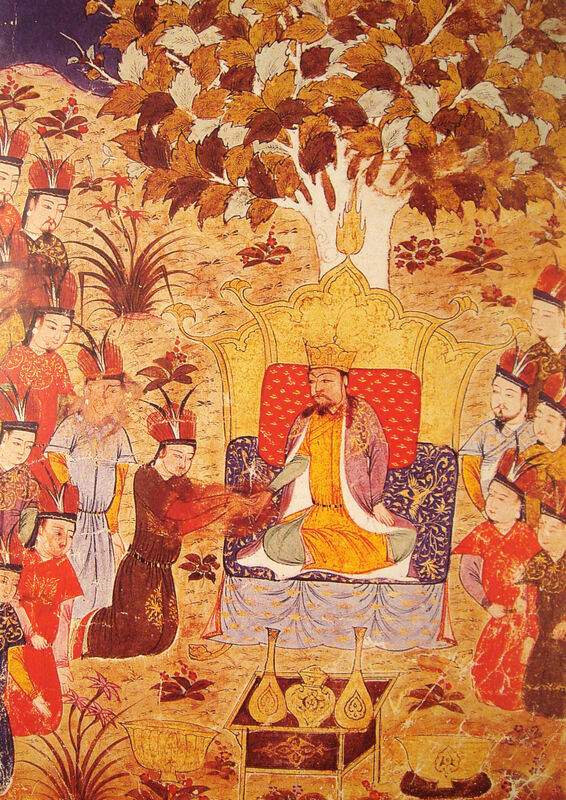 In the 1368 the Mongols were overthrown, and the Ming Dynasty (1368–1644) was founded. The Ming capital was changed to Jinling in Jiangsu and called Nanjing. 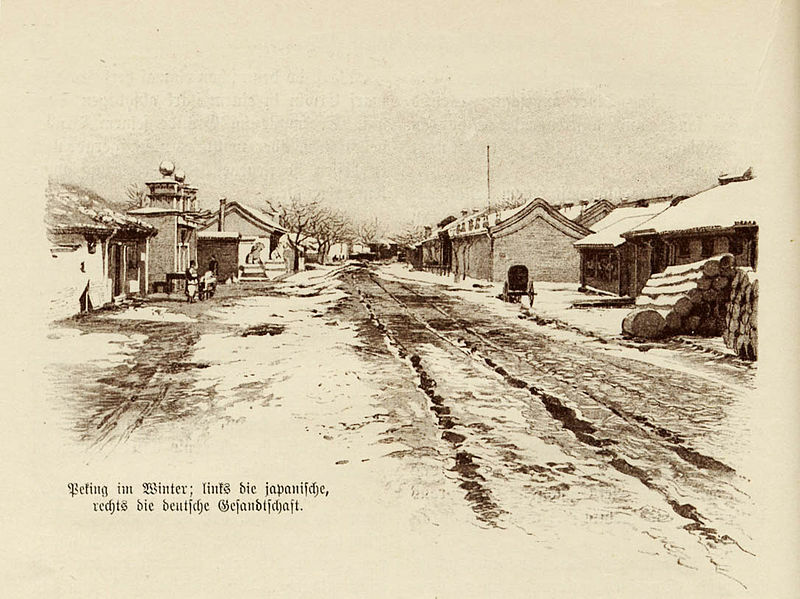 Dadu was renamed Beiping meaning Northern Peace and was placed under the control of the emperor’s son. It subsequently passed to the emperor’s grandson who used it as a power base from which to seize the throne. In consequence, in 1403 Beiping was rechristened Beijing, and in 1421 it was officially made the capital city of the Ming Dynasty. Beijing expanded significantly during this era. Large parts of Dadu were abandoned or razed as the city was shifted southwest and rebuilt to reflect Chinese architectural sensibilities. The Forbidden City, The Temple of Heaven and Tian’anmen Square were all built between 1406 to1420. Subsequently, the Grand Canal was connected to Beijing’s new city center through a series of fifteen locks, a significant engineering feat for the time. The city’s first church was built by the Catholics in 1652 under the leadership of Matteo Ricci. In 1644 Beijing was captured in a peasant revolt led by Li Zicheng who held the city for 40 days. In desperation, a Ming general opened the city’s gates to what he believed to be his northern Manchu allies. Instead of retreating with the wealth they had been promised in exchange for helping to restore order to Beijing, the Manchus claimed the Mandate of Heaven for themselves and proclaimed the creation of Qing Dynasty (1644-1911). 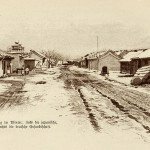 Throughout the Qing Dynasty era Beijing’s overall city plan remained largely intact, although outside the city walls many palaces, temples, and pavilions were constructed. 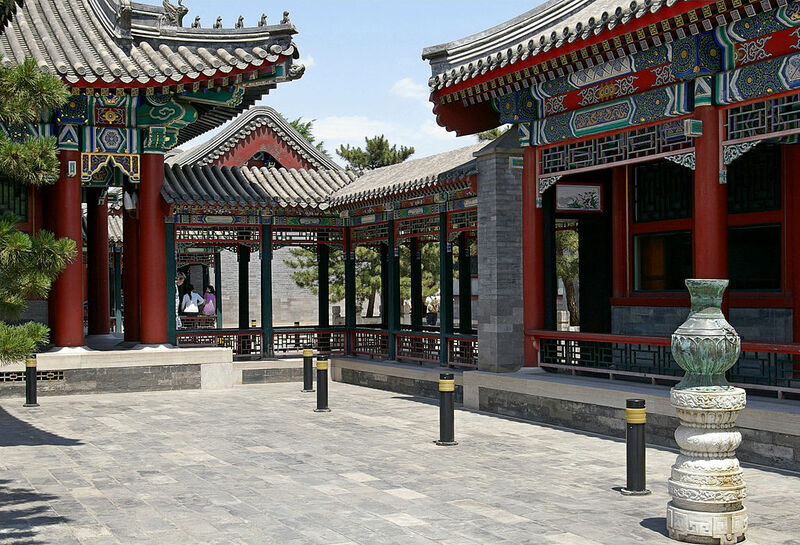 One of the most famous was the Summer Palace. Through the 15th through 18th centuries, Beijing is thought to have been the largest city in the world. During the 1856–60 Second Opium War, Beijing was temporarily occupied by British and French troops. During the occupation, the troops looted and then burned the Summer Palace. Under the peace treaties that followed, foreign powers won the right to establish permanent embassies within the city. These embassies were later besieged during the Boxer Rebellion. The Boxers were largely peasants who believed their hardship was caused by foreign aggression into Chinese territory and by the opium that accompanied them. Spurred on by a severe summer drought which devastated their crops, the Boxers became determined to expel the foreigners from China. An obvious target were the Christian missionaries who were working in many parts of the Chinese countryside by the end of the 19th century. The Boxers’ attack caused Western troops to reenter Beijing to quell the unrest. During the Boxer Rebellion, the new Summer Palace and many other important Beijing buildings were destroyed. 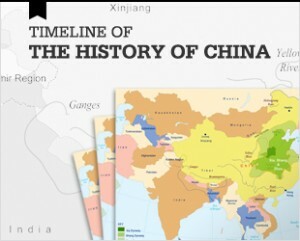 In 1911 the Qing Dynasty fell, and the Republic of China was founded. Beijing continued to be the political center of the Republic of China until 1928, when the capital was transferred to Nanjing and Beijing’s name reverted to Beiping. In 1937, the Japanese launched the Second Sino-Japanese War and Beijing was captured. Beijing was ruled by an ethnic-Chinese puppet state under the control of the Japanese until the end of the war in 1945. After the war, Beijing returned to Kuomintang control until they were defeated by the communists during the ensuing Civil War. In 1949, with the founding of the People’s Republic of China, Beijing again became the country’s capital. In the 1950s and 1960s the city’s architecture and layout began to alter as streets were widened and the city itself expanded. The old Ming Wall, for instance, was demolished to make way for a second ring road and the Beijing subway. During the 1966-1976 Cultural Revolution, Beijing saw the launch of the Red Guard movement and the first of its subsequent purges. The Red Guard were a paramilitary social movement of mostly young people mobilized by Mao Zedong to ostensibly continue the momentum of the communist revolution. By the fall of 1966, all city schools were closed and over a million Red Guards from every part of the nation came together in Beijing for rallies in Tian’anmen Square with Mao Zedong. After the death of Mao Zedong in 1976, then leader Deng Xiaoping brought an end to the Cultural Revolution. He then instituted policies that began China’s transition to a market economy. The rapid economic growth that followed these new policies caused Beijing to change markedly. Shopping centers and modern residential and office building were built throughout the city while traditional and historic architecture was often torn down. The urban area of Beijing increased significantly and third, fourth, fifth and sixth Ring Roads were eventually added to accommodate Beijing’s growing industrial base and expanding population. This modern growth has given rise to issues such as heavy traffic, poor air quality and the influx of migrants from less-developed provinces coming to Beijing in order to take advantage of the jobs created by its unprecedented construction and by its large industrial sector. In 1989, Beijing became the center of controversy when the communist government forcibly put down student protesters who had gathered in Tiananmen Square to protest against high inflation, limited career prospects and corruption. They called for reform such as greater government transparency, freedom of the press and freedom of speech. At the highpoint of the protests an estimated million people were assembled. These protests were eventually suppressed by hardline communist leaders. 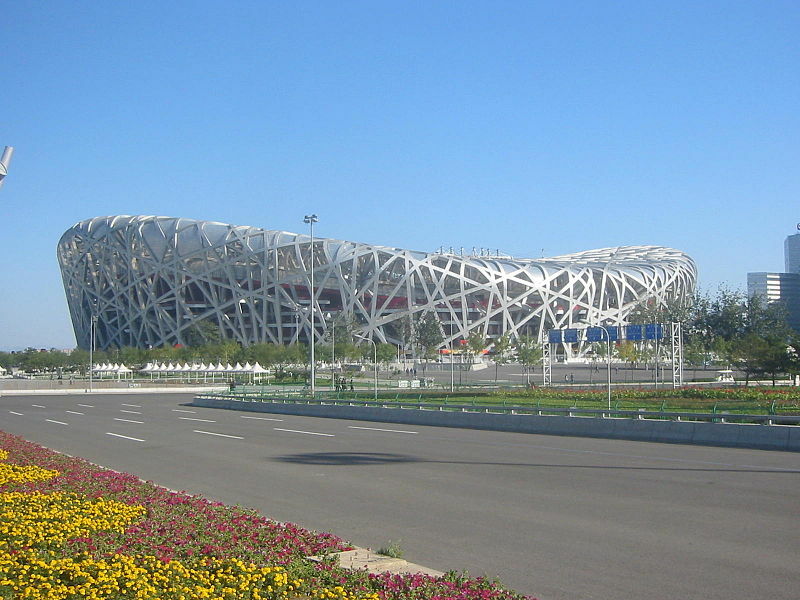 In 2008, Beijing hosted the highly successful Summer Olympics. In anticipation of the Olympics, the government launched a broad program to improve the city’s infrastructure, to expand the Beijing’s subway system, and to build sports venues and housing for the athletes. 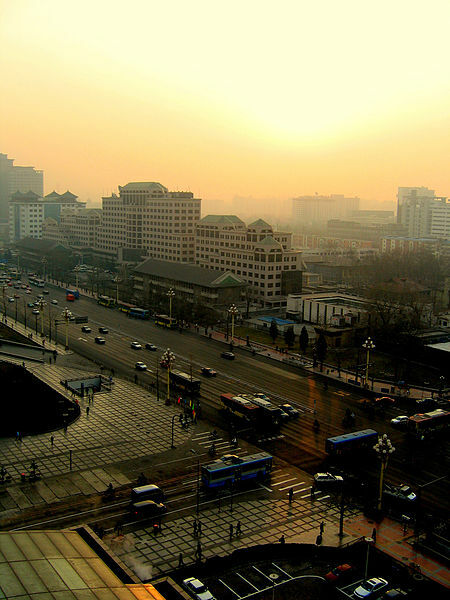 During the Olympics, Beijing managed air pollution by seeding clouds, reducing traffic on the road and temporarily shuttering nearby industries. Between the 1250-1900 Beijing’s population ranged between 700,000 and 1,200,000. During the Republic of China period (1911-1949) Beijing’s populace increased from approximately 725,000 to more than 2,000,000 as people sought shelter from fighting warlords, Japanese invasion and the Chinese Civil War. Once Beijing was reestablished as the country’s capital, Beijing’s population saw another wave of expansion as the Municipality’s need for government and industrial workers spiked. The 1980 market opening and the concurrent easing of travel and living restrictions drove further population growth. Today Beijing’s population is over 21 million people. 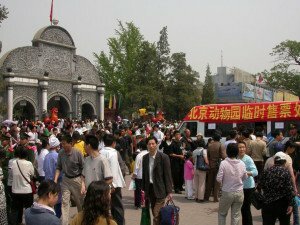 Approximately 96% of Beijing residents are Han Chinese. Hui, Manchus, and Mongols make up the largest minorities. The city also has a small community of foreign diplomats, journalists, business associates, teachers and students. Beijing’s GDP exceeds $232 billion. Agriculture continues to contribute to Beijing’s economy. Vegetables are farmed in a belt that rings the city. During the winter, vegetables are grown in greenhouses. Fruit and nut trees are cultivated in large tracts north and east of the city. These orchards also serve to reduce soil erosion. Pears, persimmons, apples, chestnuts, peaches, grapes and walnuts are the main fruit crops harvested. Beijing sells its excess fruit to other Chinese cities. Some wheat and corn are also farmed. From 1950 onward, Beijing began to make significant investments in heavy industry. Its Shoudu Iron and Steel Works, for instance, is one of the largest steel plants in China. Smaller finishing mills produce an array of industrial steel products. Beijing is also an important center for the manufacture of machinery, petrochemicals, new materials, automobiles and pharmaceuticals. Its Zhongguancun district is an important center for electronic and computer manufacturing and research. The Municipality is also a major weaver of cotton, wool and synthetic fabric. The local handicrafts sector makes carpets, porcelain, jade sculpture, ivory sculpture, brassware, enamelware, lacquer ware, lace and embroidery. Some of this manufacturing activity has been generated by Beijing’s growing entrepreneurial culture which is financed by an expanding foreign and domestic venture capital industry. Construction too has grown rapidly in the last two decades as the city has seen unprecedented growth in its residential and commercial square feet as well as a major modernization of its infrastructure. 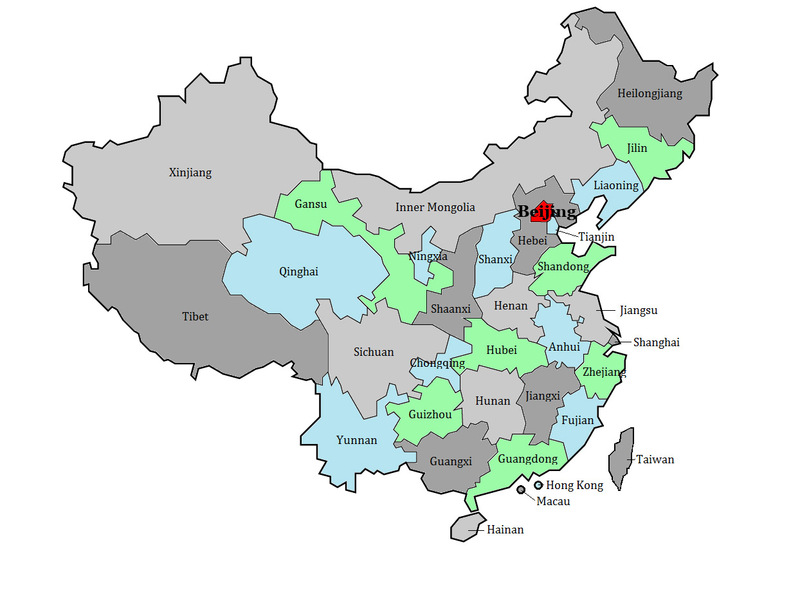 In recent years, Beijing is seen rapid growth in its tertiary industries. Financial services, for instance, is one of the Municipality’s most important economic drivers. 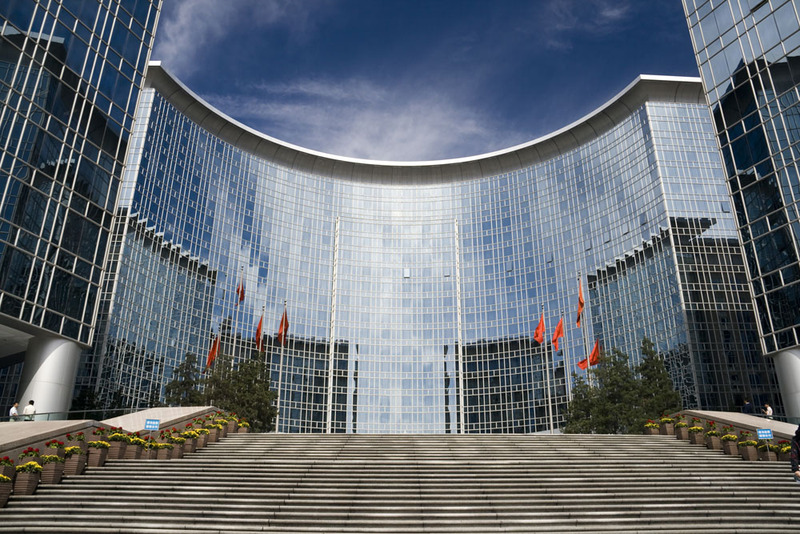 Over 750 financial organizations have operations in Beijing. The most important of these financial institutions is thePeople’s Bank of China which acts as on behalf of the national treasury. All monies of state-owned enterprises, national, provincial, and local governments and the People’s Liberation Army are kept with the People’s Bank. The Bank uses its deposits to help orchestrate economic activity and to meet the financial needs of the government. Also based in Beijing, and under supervision of the People’s Bank, are the People’s Construction Bank which was originally established to finance China’s construction and infrastructure needs, the Agricultural Bank of China which finances the agricultural sector, the Bank of Commerce and Industry which concentrates its lending to manufacturing companies and the Bank of China which was created to oversee international trade and foreign exchange. Beijing is located at the northern point of the North China Plain which stretches to the south and east of the city for approximately 650km. The Yan Mountains run along the Municipality’s northeast and the Jundu and Xishan Mountains run along its west. These mountains form an arch around the west, north and northeast of the city. This mountain barrier helps protect Beijing and its agricultural lands from dust blowing in from the Gobi desert and the Inner Mongolian steppe lands during late winter and spring when the frost melts and when prevailing winds blow southeast. That said, increasing desertification has spurred a rise in the frequency and duration of dust storms which reach Beijing during the late winter and spring months. Growing industrialization has meant that these dust storms have become more toxic because they are absorbing industrial pollutants from the air as the sweep across the land. Almost all routes crossing the mountainous passes leading from Mongolia and the Northeast to the North China Plain tend to converge on Beijing. 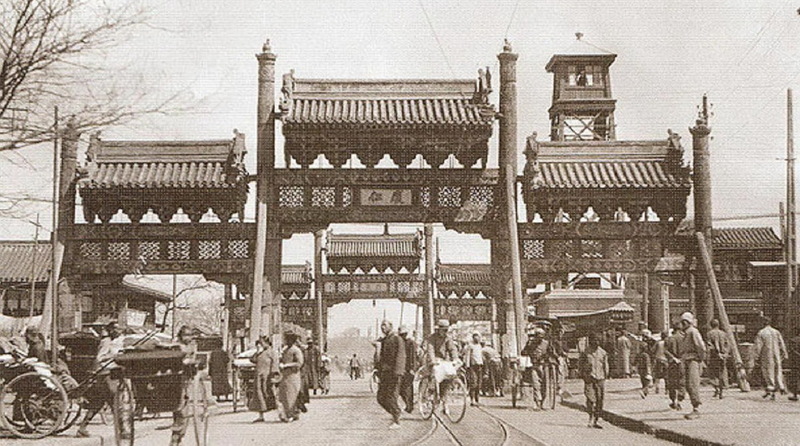 As a result, for hundreds of years, Beijing was an important layover for caravans coming to and from Central Asia. At 2,303 metres, Mount Dongling, in the Xishan Mountains, is Beijing’s highest peak. Beijing’s urban center. Beijing is also the northern end of both the Grand Canal and the South-North Water Transfer Project. The South-North Water Transfer Project is designed to bring water from the Yangtze River to north China to help offset the area’s water shortage. The Yangtze River basin and areas to China’s south receive 80% of China’s naturally available water resources while the north gets just 20% of China’s water to support approximately 46% of its population, 65% of its agricultural land and 45% of its GDP. The urban area of Beijing spreads out in concentric ring roads. 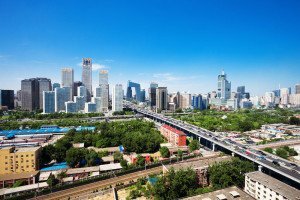 Beijing’s Second Ring Road follows what had been the old Ming City Walls while the Sixth Ring Road circles through towns in its suburban areas. Within these ring roads, the municipality can be divided into an inner, middle and outer area. Covering only about 1% of the Municipality’s land, the inner area is the Municipality’s urban heart where many of its historic sites and residential areas can be found. Tian’anmen Square and the Forbidden City are at its core. The Municipality’s middle area, accounting for 8% of the Beijing’s land, spreads out from the Second Ring Road and encompasses many of the newer factories, workers’ dormitories and government buildings. Its edge is farmed for fruit and vegetables. Beijing’s outer area is also a large agricultural and basic commodity area. From this region, Beijing’s urban area sources much food and its water as well as some coal, lumber and other construction materials. 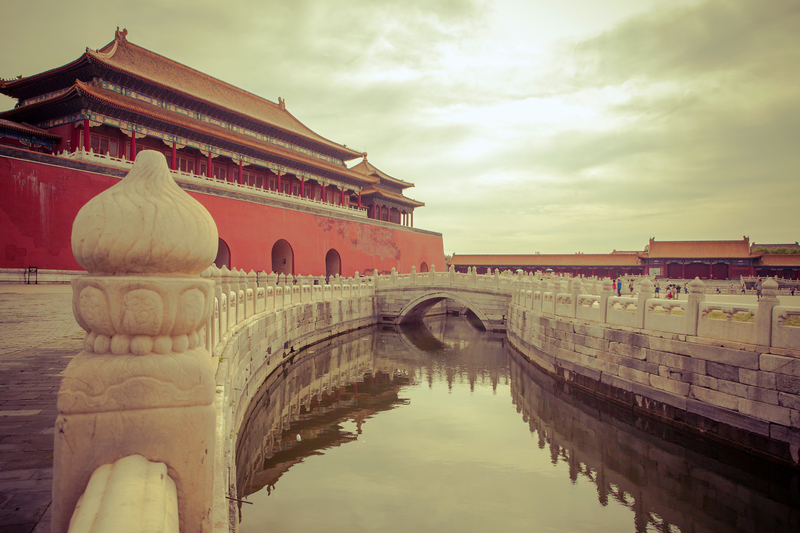 Beijing’s most famous monument is the Forbidden City. Encircled by 52 m wide moat, the Forbidden City is China’s best conserved group of historic buildings and the largest palace complex in the world. The Forbidden City was the place of residence for all Ming and Qing emperors, until China’s dynastic system was replaced by the Republic of China in 1911. It was called the Forbidden City because it was off limits to all who were not connected with the Imperial Court or expressly invited by the Emperor to enter. All males outside the Emperor living within the Forbidden City were castrated to make sure that only the Emperor’s seed would be spread between his many wives and concubines. Today the Forbidden City is called the Palace Museum. 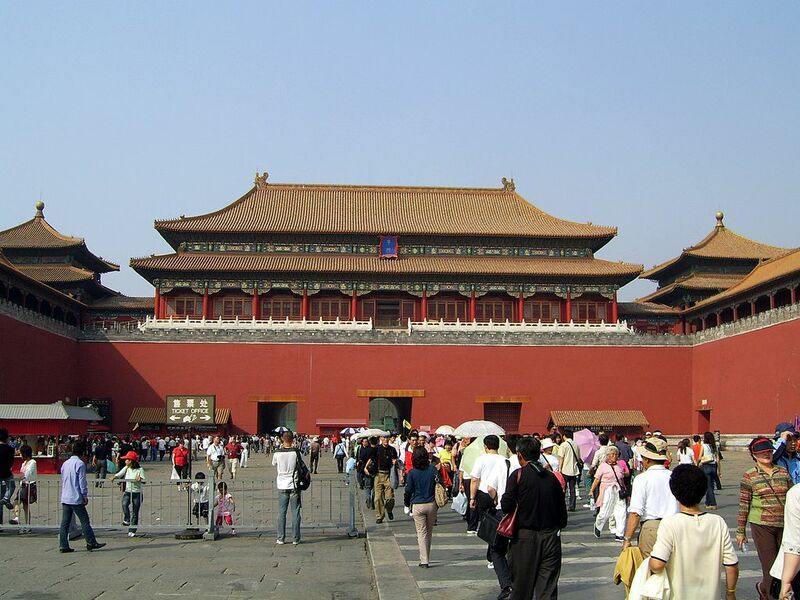 The equally famous 440,000 square meter Tiananmen Square lies next to the Forbidden City. Mao Zedong enlarged the Square so that it could hold as many as a million people. During the Cultural Revolution, youth from all over China gathered in its confines. In 1976, at the end of the Cultural Revolution, a million heartbroken Chinese crammed the Square in order to pay last respects to Mao. In 1989, the Square became the heart of student pro-democracy protests which ultimately resulted in the loss of many lives. Today, the square is lined with government buildings and heavily monitored by police and the army. The Gate of Heavenly Peace, located at the north of Tiananmen Square, is decorated by an enormous portrait of Mao Zedong. Mao stood on top of the gate in 1949 to declare the founding of the People’s Republic of China. Originally built in the 15th century and restored again in the 17th century, it is one of the ancient gates of the old Imperial City Wall. On the eastern side of Tiananmen Square is the National Museum of China. Its collections include pieces spanning almost the entire range of Chinese history, from prehistoric times through the end of the Qing Dynasty. Another good place to see an excellent collection of ancient Chinese bronzes dating from the Shang and Zhou dynasties is the Poly Art Museum. 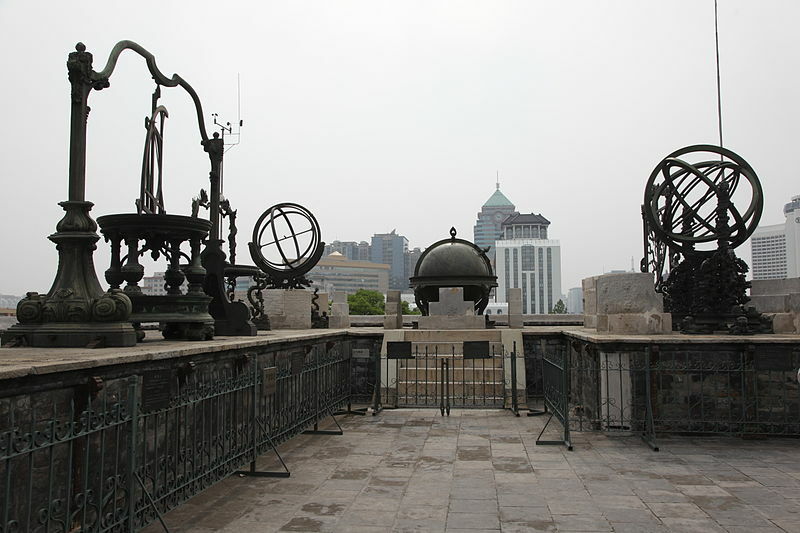 The Ancient Observatory houses an interesting array of historical astronomical instruments. Originally dating from Yuan Dynasty days, the Ancient Observatory was used by emperors until the end of the Qing Dynasty to use astronomical observations in order to determine auspicious times for military undertakings. The Clock Exhibition Hall, within the Forbidden City, showcases an impressive assortment of ancient clocks many of which were given to Qing emperors by foreign powers. Of equally esoteric interest are the Beijing Railway Museum and the larger China Railway Museum which trace the development of China’s rail industry. 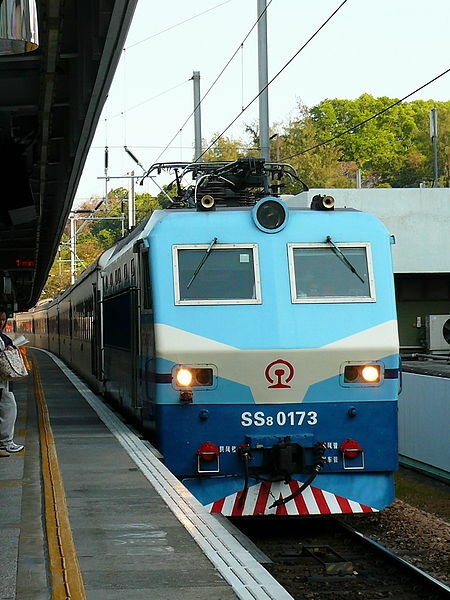 In the larger China Railway Museum many actual train models can be seen. Beijing’s Natural History Museum has an excellent dinosaur collection as well as other attractions. China’s Science and Technology Museum is a huge facility with many interactive displays, a science playground and 3D cinemas. The Capital Museum showcases exquisite collections of porcelain, Buddhist statues, relics of the Peking Opera, bronzes, painting and calligraphy. Chairman Mao Memorial Hall is located within Tiananmen Square. Mao’s mummified corpse rests inside in a crystal case. To the east of Tiananmen Square is the Former Foreign Legation Quarters where European foreign powers established embassies, banks and churches after the Second Opium War. Many of the former legation buildings now house exclusive restaurants, shops and art galleries. 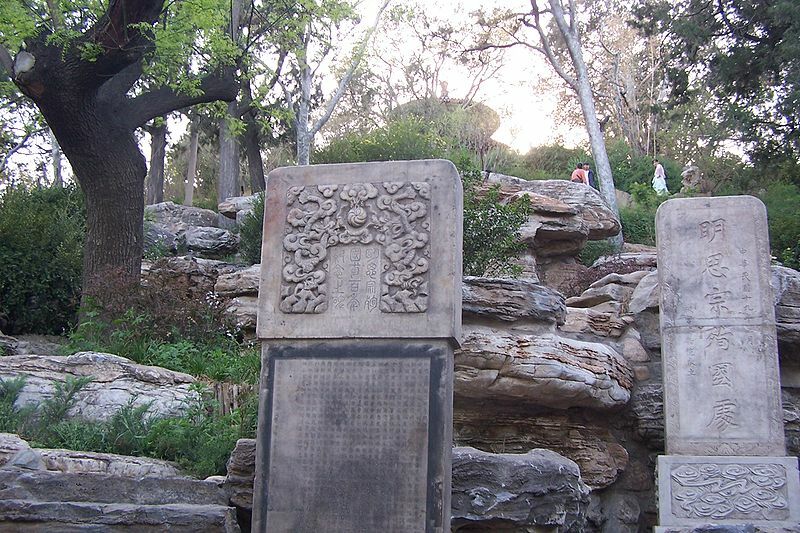 Jingshan Park is home to one of Beijing’s only hills, formed by the dirt excavated from the Forbidden City’s moat. The mound makes an excellent viewpoint to see the city’s rooftop on a clear day. The park itself is great for people watching as Chinese of all ages practice tai chi, calligraphy, dancing or gather in groups to chat with friends. The smaller Zhongshan Park lies west of the Gate of Heavenly Peace and is an equally good place for people viewing. The less central 267 hectare Temple of Heaven Park is enclosed by a long walls with a gate at each compass point. It originally acted as a stage in which the Emperor prayed and performed rituals to ensure good harvests and to remain in spiritual good grace. The park houses a lovely collection of ancient buildings and attractive groves of trees some of which are over 800 years old. Ritan Park dates from the 1530s and is beautifully landscaped. Inside its environs, park goers enjoy the traditional array of Chinese park activities including singing, dancing, kite flying and Tai chi. Pleasant park cafes offer a selection of refreshments. Behai Park and its environs are home to Beijing’s Nanhai, Zhonghai, Beihai, Qinhai and Houhai Lakes extending roughly tip to tail in a long vertical strip. During the summer, locals flock to the area to bike, eat, stroll, boat and relax. In the winter, the lakes freeze over, and in many places, ice skating equipment is rented. Temples, good restaurants, shops, bars and cafes dot the lakes’ periphery. China’s ancient Drum and Bell Towers used to be the means by which the city broadcasted the time. During the Yuan, Ming and Qing Dynasties the Drum Tower’s beating drums and the Bell Tower’s ringing bells were the city’s official clocks. Both structures can be climbed. Drumming performances, lasting just a few minutes, still continue throughout the day. In the Bell tower, one of its 63 tonne bells still hangs. The Drum and Bell Square is a great place to come in the evening to watch locals dance or to enjoy refreshment at a local café. The Lama Temple is the most important Tibetan Buddhist temple outside of Tibet. Filled with ancient frescoes, tapestries, prayer wheels and sculpture, the temple is architecturally beautiful. Today it remains an active place of worship. Close to the Lama Temple is the Confucius Temple and Imperial College. 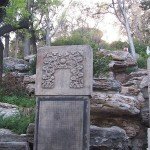 A highlight of the Confucius Temple is the 190 ancient stone slabs engraved with figures or inscriptions providing insight into 13 Confucian classics. At the Imperial College, emperors from the Yuan, Ming and Qing Dynasties annually waxed lyrical on Confucian classics to kneeling students, professors and court officials. The further afield Dongyue Temple is an active place of Daoist worship. Dating from the Yuan Dynasty, although now heavily restored, it is dedicated to the Eastern Peak of China’s five Daoist mountains. The 10th century, Nui Jie Mosque is Beijing’s largest mosque and is the centre of the Chinese Hui community. China’s Bird’s Nest and Water Cube are two of the most famous buildings left over from the 2008 Summer Olympic Games. The area is largely empty now, backdrop to only the occasional event. The Water Cube, however, has been turned into China’s largest indoor water park. Beijing’s Hutong neighborhoods are fast disappearing. Hutongs are a collection of narrow streets or alleys most typically found in northern Chinese cities. These alleyways are lined with traditional courtyard residences. The courtyard houses were developed to create a harmonized relationship between man and nature where nature was brought inside the human habitation by way of the interior courtyard. The courtyard also provided natural light and ventilation to the building’s interior. 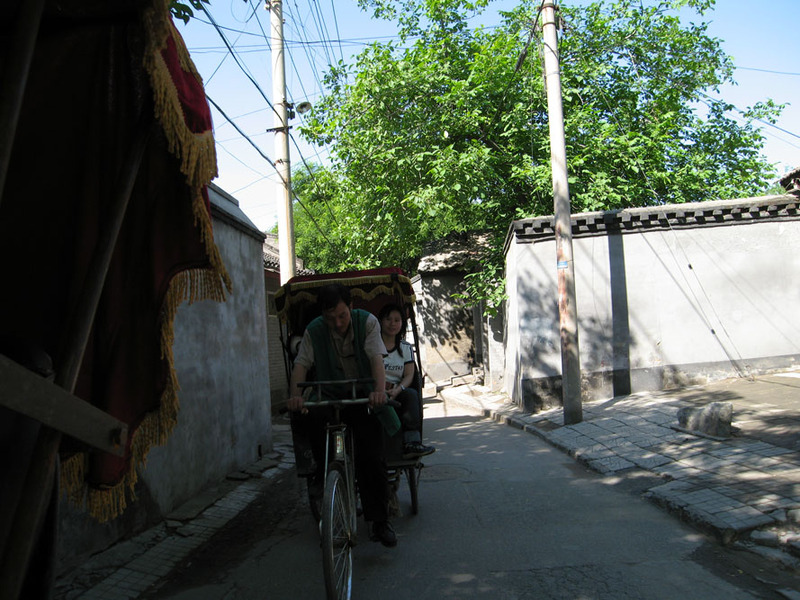 It is estimated that two thirds of Beijing’s hutongs have been destroyed. The pockets that still remain provide excellent exploring. The Summer Palace was an Imperial retreat from the suffocating summer heat of central Beijing. Its garden, pavilions, lakes, and temples are designed to capture cool breezes and provide a natural and harmonious respite. Originally constructed in the 1700s, The Summer Palace was vandalized by foreign troops during the Second Opium War and then again after the Boxer Rebellion. Both times, it was heavily restored. It underwent further restoration after it had fallen into disrepair during the early decades of the communist era. Beijing provides an easy access point to the Great Wall. Badaling and Mutianyu are the most touristy parts of the Wall located close to Beijing. Beijing travelers, however, can also reach sections of the Wall that have not been rebuilt. Two of the closer of these unrestored sections included Jiankuo and Zhuangdaikou. The Ming Tombs are the burial spot of 13 out of the 16 meaning-dynasty emperors. Although only three of the 13 teams are currently open to the public, and only one has been completely excavated, what can be seen is fascinating. The tombs back into the southern slopes of Tianshou Mountain. The outer area of Beijing municipality houses some lovely historic villages. Chuandixia is a Ming Dynasty village with an enchanting collection of historic courtyard homes. It resides amongst orchards and fields. Lingshui is home to the ruins of Beijing’s oldest temple dating from the Han Dynasty. It is said that 22 of his former residence passed the infamously hard Imperial exams. Even today, the village celebrates their success with a small annual ceremony. Shuiyu Cun has over 100 Ming and Qing Dynasty courtyard homes as well as an ancient temple. Guyaju is an abandoned village carved as caves into rock. Steps cut into the stone allow access to explore. Some of the caves dwellings have 2 or 3 rooms.